Benefiting from Montreal's remarkable archival records, Sherry Olson and Patricia Thornton use an ingenious sampling of twelve surnames to track the comings and goings, births, deaths, and marriages of the city's inhabitants. The book demonstrates the importance of individual decisions by outlining the circumstances in which people decided where to move, when to marry, and what work to do. Integrating social and spatial analysis, the authors provide insights into the relationships among the city's three cultural communities, show how inequalities of voice, purchasing power, and access to real property were maintained, and provide first-hand evidence of the impact of city living and poverty on families, health, and futures. The findings challenge presumptions about the cultural "assimilation" of migrants as well as our understanding of urban life in nineteenth-century North America. 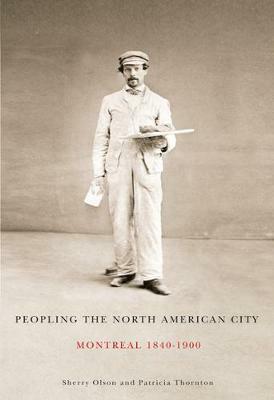 The culmination of twenty-five years of work, Peopling the North American City is an illuminating look at the humanity of cities and the elements that determine whether their citizens will thrive or merely survive.